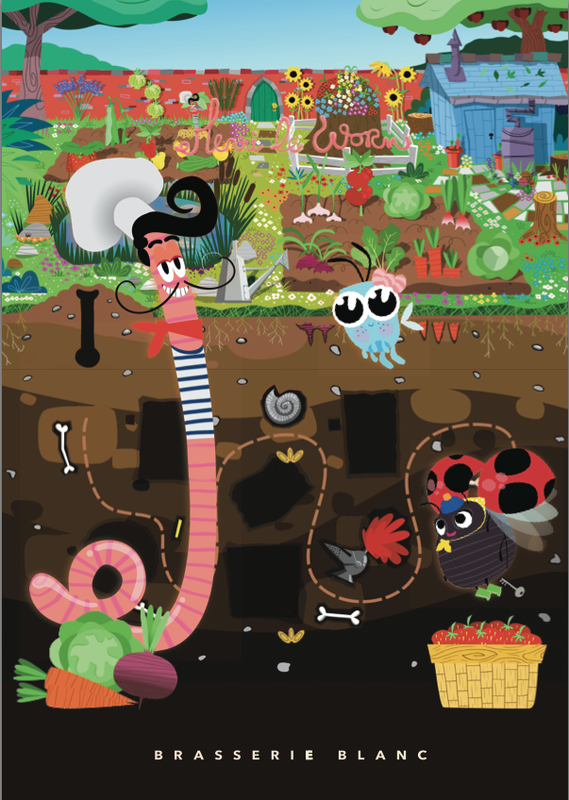 We all know RB is passionate about gardens, and so is Henri le Worm. So much so that he would love you to come and visit his special garden at the RHS Hampton Court Flower Show. The garden is a veritable feast for the senses, specially designed to appeal to children of all ages, and with a flock of feathery friends in the form of chickens, as well as Raymond Blanc himself cooking in the special garden kitchen, it is sure to be a fun-filled day out. Simply like us on facebook or follow us on twitter and share or retweet this story from the bottom of the page. Winner will be chosen at random at midnight tonight so we have a chance to post the tickets to you. *Meal is at a brasserie of your choice for two adults and two children only, maximum value £150. Cannot be used in conjunction with any other offer. Must be used within 6 months.